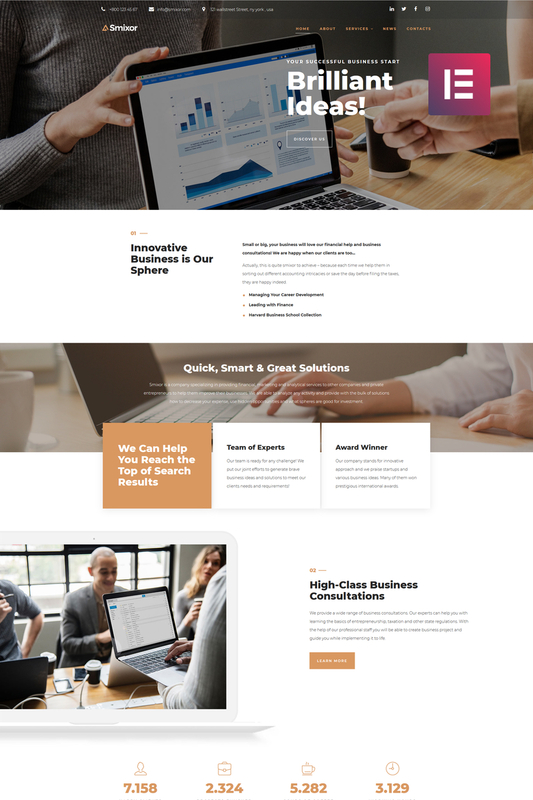 Meet a top-notch Smixor theme, which will help you in promoting your business consulting services in the most efficient way. This theme provides a stylish, minimalistic appearance and a convenient interface. You will be able to display information about your company, a range of services, team members, news and much more. It will be possible to create the website of your dream using powerful functionality of Smixor theme. 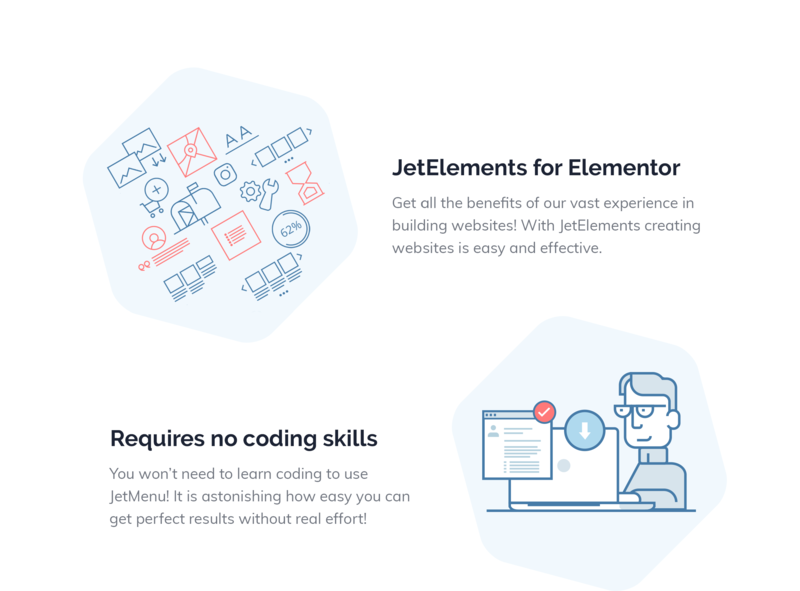 There is a strong Jet plugins bundle for Elementor page builder. With JetThemeCore plugin you will create templates of specific theme parts, headers and footers using pre-made ones from a huge library. 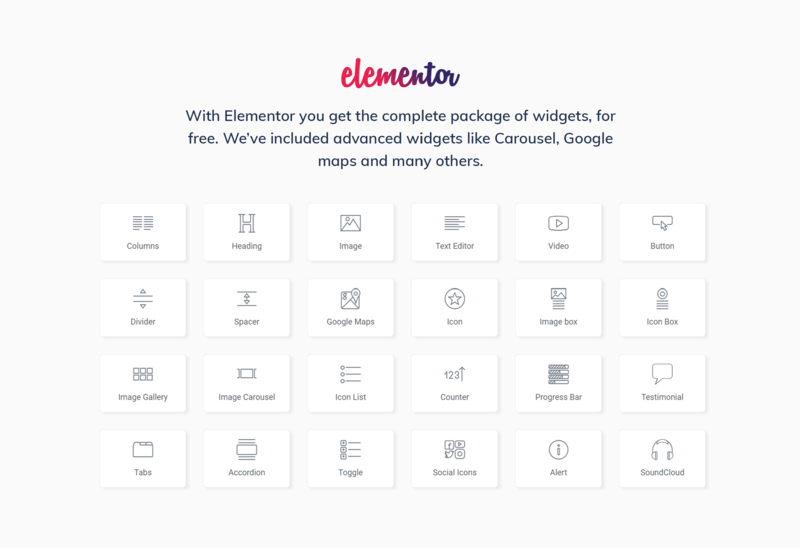 Using JetElements plugin you will expand your content with 40+ easy-to-use widgets for all purposes and apply different style settings to them without any coding knowledge. You will add extra functionality to headers and footers with the help of JetBlocks plugin. You will discover the potential of JetTabs plugin creating content and placing it into compact tabs and accordion blocks easily and quickly. 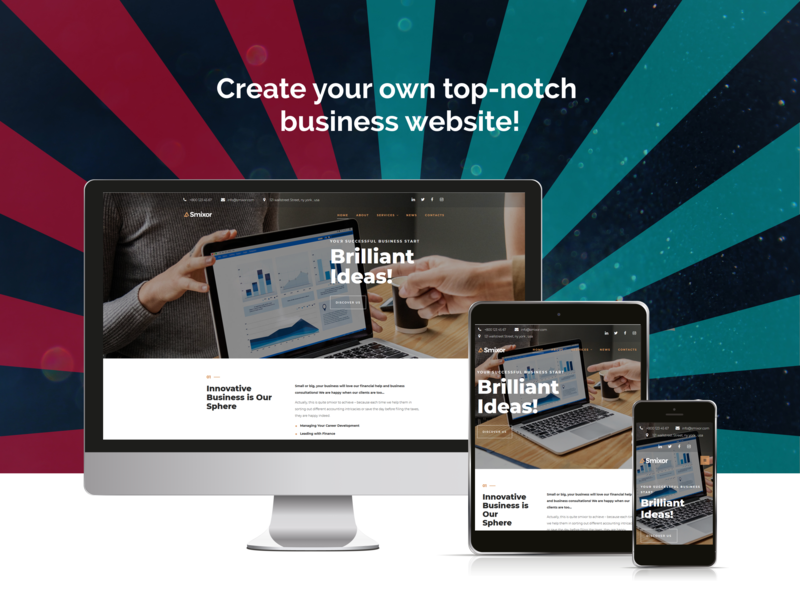 You will improve your company’s image and engage more clients using a responsive, modern Smixor theme.